With St Patrick’s Day just 4 days away, it’s not too late to make a chapeau/hat to wear so you won’t get pinched by any leprechauns next Tuesday! If you don’t have time to make the whole hat, you can make the 3-leaf clovers in the pattern instead. 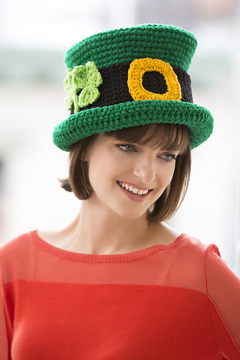 Here’s today’s FREE crochet pattern: a St Patrick’s Day Chapeau/Hat. You can find this FREE pattern on the Red Heart website here. The hat is made with Red Heart Super Saver, along with sizes H (5 mm) and I (5.5 mm) crochet hooks. 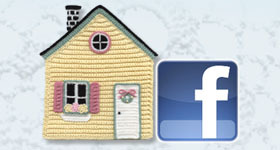 I hope you enjoy this FREE crochet pattern! Top o’ the morning to you!